The Green Tea and Roses is a delightful bouquet that is put together by a local florist and can be delivered today or next day. 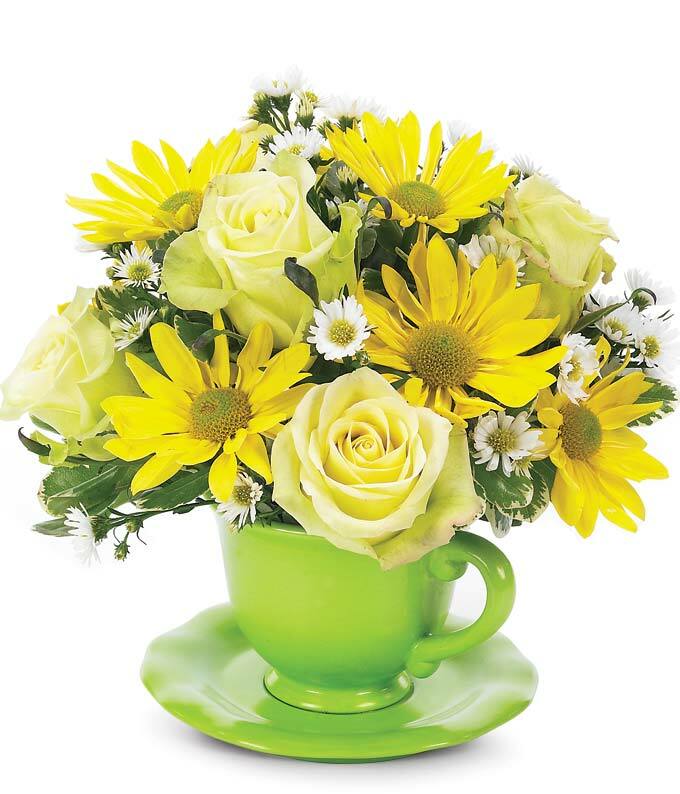 Light green roses, yellow daisy poms, and white Monte Casino are arranged in a reuseable green tea cup with matching saucer. This unique bouquet is perfect for coffee and tea drinkers alike, or for a St. Patrick's Day gift. Measures 9"H by 8"L.